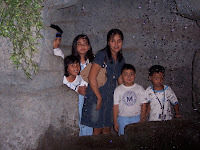 Ailene and I joined Gelo in his field trip last September 2005. 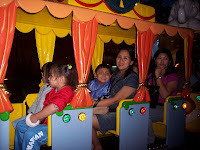 We went to several nice places, but Museo Pambata in Roxas Boulverd, Metro Manila and Enchanted Kingdom in Sta. Rosa, Laguna are the notable ones. 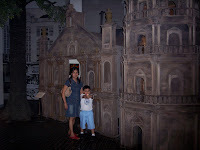 The kids loved Museo Pambata. It's a place of hands-on discovery and role-playing. 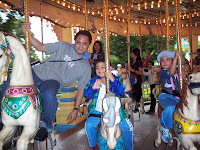 Indeed, the kids had a great time while learning. Our last stop is Enchanted Kingdom. 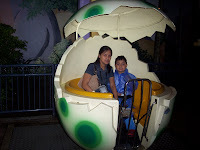 Gelo is very excited but I believe I am more excited than him, thinking that we have a ride-all-you-can package. Though it was very tiring, we had a great, great time. 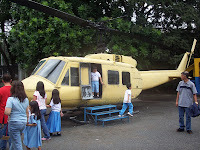 It's really a place for the young and old alike.